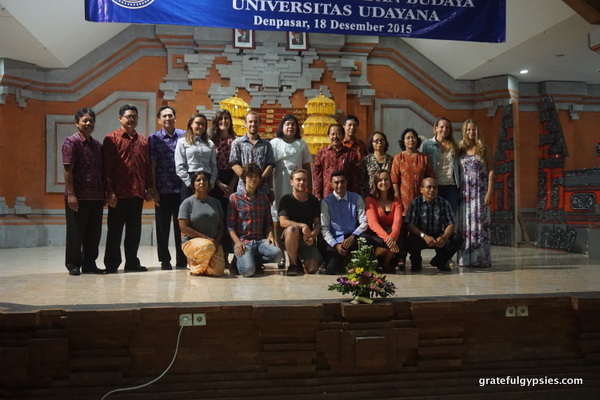 Participants for the 2015 program. Darmasiswa has been going on every year since 1974, and it’s run by the Ministry of Education and Culture in cooperation with the Ministry of Foreign Affairs. 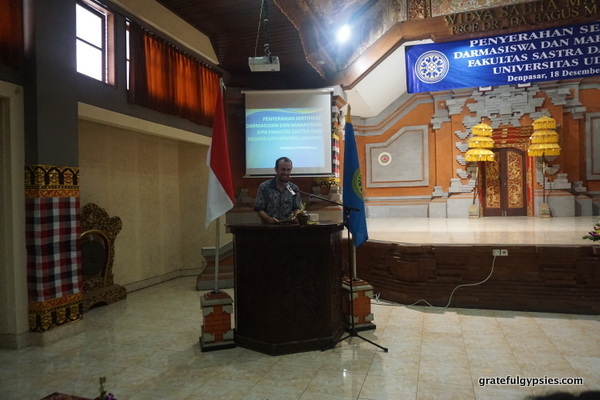 There are 54 universities across the country – mostly in Sumatra, Java, and Bali – which are a part of the program. 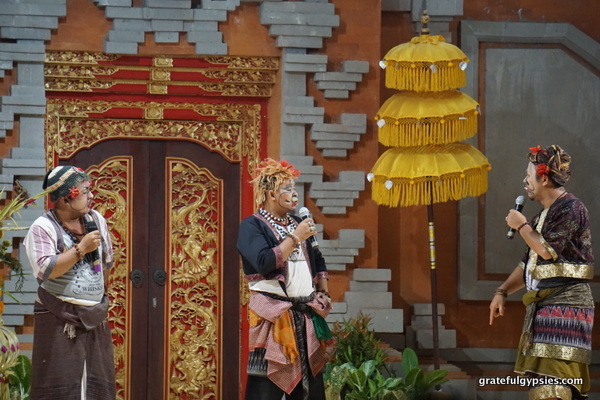 Most schools focus on Bahasa Indonesia, but there are quite a few that focus on the arts and culture – batik painting, puppetry, traditional dance and music. The program lasts for one school year, and it’s open to people from all countries that have diplomatic relations with Indonesia. 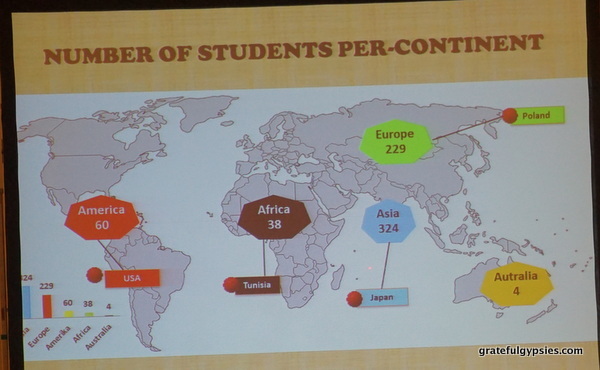 For the 2015-2016 year, there are nearly 800 participants from over 80 countries. As a participant in Darmasiswa, you receive free tuition, a year-long visa, and a monthly stipend (2 million Rupiah/month, or about $150) to offset some of the costs of living. 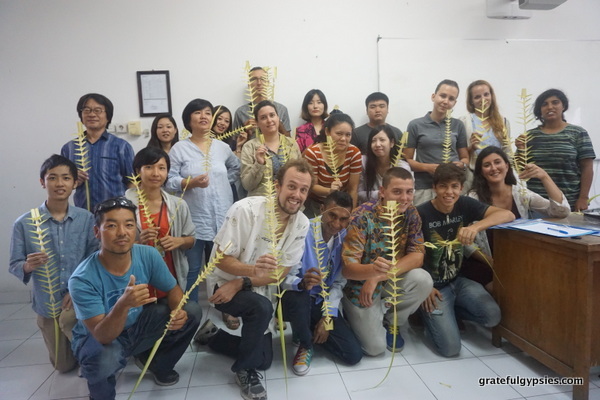 You don’t receive a degree for the program – it’s simply meant for cultural exchange. For those with a genuine interest in the language and culture of Indonesia, this program is a great way to stay in the country for a while. Tourist visas only give you 30 days in country – not nearly enough to really dive in. 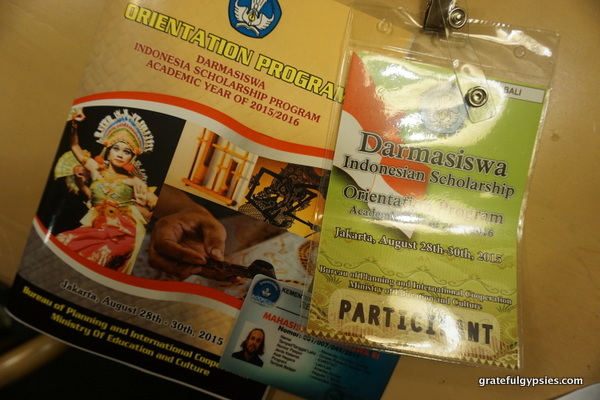 A mixed bag of people join the Darmasiswa program. Not more than 35 years of age. Completed secondary education or its equivalent. In good health as proved by a Medical Certificate. Able to communicate in English and additional Bahasa Indonesia is required. Have basic knowledge of the field you’re applying for. While the age requirement is definitely enforced, the others don’t seem to be. I have classmates who haven’t attended university yet, some who speak little to no English, and most had zero Indonesian before coming here. Basically, as long as you’re under 35, you can probably go ahead and apply if you’re interested. I gave a speech to end our semester. Copy of passport valid for at least 18 months from the time of arrival in Indonesia. You may not need all of those things, but it’s better to be safe than sorry. The health certificate can be a basic physical exam (I had my dad do it, as he’s a doctor). As for reference letters, it doesn’t seem as if they’re absolutely essential, but they probably don’t hurt. I got one from a former professor who mentioned that I was a good student and she knew I had a legitimate interest in studying language & culture. As far as the letter of intent goes, this is where you can really make yourself stand out. I spent a lot of time on my letter, and I’m sure it had quite a bit to do with why I ended up getting Bali – the top choice by far. Learning to dance in our cultural class. Depending on your place of study and the program you end up in, your schedule could be quite different. Some schools have classes five days a week, while others (like mine) only have four. All schools across the country will take national holidays off, but here in Bali there are also lots of surprise holidays for ceremonies, which happen quite frequently. Even if you do have a full week of classes it’ll only add up to 15-20 hours total, leaving you plenty of time for whatever else you want to do. A common complaint across the whole spectrum of the program is that the classes aren’t very serious – teachers show up late (or not at all), there isn’t much structure to the lessons, and you aren’t pushed very hard at all. Truth be told, if you really want to get a lot out of your stay here in an academic sense, you’re going to have to look elsewhere. For example, some friends of mine studying at the art school find their classes to be somewhat of a joke. As such, they’ve joined in a gamelan (traditional Balinese music) group outside of school that meets 3-4 times a week. Others choose to hire private tutors or study the language on their own. Some give up entirely and spend a majority of their time surfing and drinking beer. It’s entirely up to you how you spend your time here and what you get out of it. Nobody is going to push you to come to class, to study, or to complete assignments. My class at the closing ceremony. Am I ready to commit to the full year? If you think you might only do half of the year, then please don’t apply – you’re taking a spot away from someone who might really want to do the whole thing. Am I prepared for the inevitable culture shock that will come? If you’re American and going to Canada makes you uneasy, then Indonesia is probably going to be too much for you. If you’ve already lived abroad and/or traveled extensively, you’re more likely to succeed. Do I have money saved? Or am I going to have to live off the stipend? For the past several years, the stipend has been 2 million Rupiah/month, or about $150. While there are plenty of locals who live off of less, chances are that’s going to be tough for you if you’re coming from a more developed country and are used to a higher standard of living. Based on my experience, I would recommend having at least $500 saved for every month you’ll be here. What do I hope to do with my time there? Now that you have a better idea of what to expect, you have to think about this one carefully. Chances are your classes will be a bit of a letdown, and even if you go to them all you’ll have loads of free time. You’re not supposed to work, and it’s damn near impossible to do so in Bali even if you wanted to, so what are you going to do with yourself? The surplus of free time is a blessing to some and a curse to others, so think about this before applying. This is my third time in Indonesia, as I previously visited in 2012 and 2014. I’d already been living in Asia for over 5 years, working as a teacher and blogger in China. I had a friend do Darmasiswa previously, visited him when he was here, and knew what to expect. I do freelance work for a company at home, and thus continue to earn an income above and beyond the stipend. I studied a bit of Indonesian before joining the program, as I took a week of private lessons last year while visiting Yogyakarta. When it comes to living in Bali, there are ups and downs just like every place on Earth. Many think of Bali as some sort of a paradise, and in many ways it is – tons of beaches, beautiful landscapes, a vibrant and colorful culture. On the other hand, you’ll see the other, darker sides of the island while living here – terrible traffic, rampant overdevelopment, blatant price gouging against foreigners, etc. For the most part, I quite enjoy living here. Once again, that probably has a lot to do with the fact that I’d already been here twice, had been living abroad for half a decade, and knew what to expect (for the most part) prior to my arrival. As far as the actual program goes, it definitely leaves a lot to be desired. As a language teacher, I can’t help but look at the classes and think about how they could be so much better with a few minor changes. That being said, I make an effort to attend at least 2-3 days a week, study a bit on my own, and speak the language when I’m out and about. My Indonesian isn’t great, but I was asked to give a speech at the closing ceremony, so obviously it’s at a decent level. Check out this 3-minute video that gives you a little taste of what life is like for a Darmasiswa student in Bali. Obviously, not everyone in Darmasiswa will have the same experience. It very much depends on the type of person you are, whether or not you’re comfortable living in a foreign country, and of course which city and school you end up in. Someone who’s never been out of their home country for more than a few weeks will most likely have a harder time adjusting to the inevitable culture shock. Someone studying in Jakarta will definitely have a different experience than someone in Bali. Someone in a school where it’s more of a vacation for everyone may get more frustrated and feel as if they’re wasting time compared with someone who ends up in a more serious school (if there is one). Quite a few people I’ve met over the semester in Bali have already given up on the whole thing and gone home for a variety of reasons – homesickness, frustration, boredom, lack of money. It’s important to take these things into consideration before applying. Looking back on the first semester, I can definitely recommend the program if you’re the right type of person. Sure, the classes may be a bit of a joke, but it’s still a great experience. You get to live in one of the most interesting countries in the world, meet people from all over, have lots of free time, and get paid to study a few hours a week. At the very least, it’s an interesting experience and something that will definitely make you stand out in the future when you’re applying for schools or jobs. If there’s anything else you’d like to know about Darmasiswa or living in Bali, feel free to leave a comment and I’ll do my best to answer.